Just like every other obsessed, fanatic reader of High Fantasy, I am always on the lookout for that one special book that presages the advent of a new classic series in the genre. 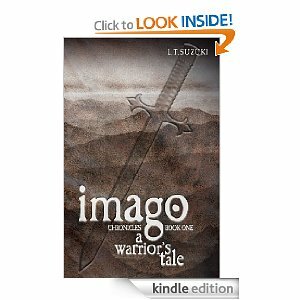 In my opinion, Lorna T. Suzuki has written that book in Imago Chronicles Book One: A Warrior’s Tale. As many of you know, I review my favorite fantasy books on a blog called Best in Fantasy, and that is where I first reviewed Suzuki’s work in 2011. I was blown away by her ability to draw you into her world and keep you there, mesmerized. Since I began blogging on what I consider to be the best fantasy reads that come across my Kindle, I have read, on average, 4 to 6 fairly good books for every one really good book that made the blog; but ‘fairly good’ is not good enough for me to call a book ‘Best In Fantasy’. Hence, my frequent excursions back to my library of classics. In order for a book to be featured on that blog, I have to LOVE it! In ‘A Warrior’s Tale’, Suzuki has written a book that stands beside the works of my beloved heroes of modern fantasy Jean Auel, Mercedes Lackey, and David Eddings. Imago now ranks as one of my all-time favorite epic fantasy series. And now, joy of all joys! Books 1,2 and 3 have been optioned for a major motion picture trilogy! In an intriguing twist, A Warrior’s Tale begins with the end. Taking shelter from a freak blizzard, Nayla Treeborn, half elf, half human and not fully either, huddles next to the corpse of a dead soldier; using his body and the now un-needed cloaks of other dead soldiers to shelter her from the killing weather. As she shelters there, she finds herself thinking about her life to that point; going back to a day when she had been a child the mental and physical equivalent of a mortal 12 year old, but was in reality 37 years of age. Nayla’s father, a high Elf and the Steward of Nagana, Dahlon Treeborn, despises her for reasons which are not made clear in this book. He has punished her for publicly disagreeing with him; nearly beating her to death. Joval Stonecroft discovers her, dreadfully mutilated and bloody and is horrified. Healing her as well as he can, he spirits her out of the elven city of Nagana to the human city of Anshen, home of the legendary Kagai Warriors. Taking the name of Takaro, the young girl embarks upon a lifetime of training, eventually becoming the only female Kagai Warrior ever accepted into the brotherhood. When at long last she reaches womanhood, not only is Takaro fully trained in the manly arts of the warrior, but she is also a woman fully trained in the womanly arts as a spy, a courtesan and an assassin. In book 1 of the series the main antagonist is Eldred Firestaff, a sorcerer who combines the nicer qualities of Lord Voldemort (Harry Potter) with the personal charm of Ctuchik (The Belgariad), and who is an immortal tool of evil, resurfacing every generation or so. Each time he comes back, he uses the armies of the weak Emperor of East Orien as his power-base in his eternal quest to conquer the world of Imago. However, in this first book of the series, although the battles with this slippery and long-lived villain are colorful and intense, they are almost secondary to Nayla’s personal battle for acceptance and with her own inner demons. This book is concerned with fleshing out Nayla and really whets your appetite for the rest of the tale! As a half-caste, Takaro/Nayla ages much more slowly than humans, and much more quickly than elves. During the course of the story she outlives three of her Kagai Masters, all of whom live to be very old men. She also outlives their grandsons and their grandson’s grandchildren, yet at the end of the book she appears to be a woman of about twenty-five years of age. Her wisdom and abilities are that of a warrior at the prime of life, and she becomes the most respected of the fierce Kagai Warriors. When her father is maneuvered into asking for the finest Kagai Warrior to train his own warriors, Nayla finds herself back in Nagana, and her father is forced to suffer her presence there; a situation that is bad at best. The world of Imago is clearly drawn, and is every bit as compelling as that of Tolkien’s Middle Earth. Here we have two distinct cultures living side-by-side in peace and harmony for generations; coming to each other’s aid whenever the other is threatened. Loyalty, honor, hard-work, love and family are the central facets of the human society that Nayla/Takaro finds herself adopted into as an abused child, and these values are echoed in the society of the Elves. 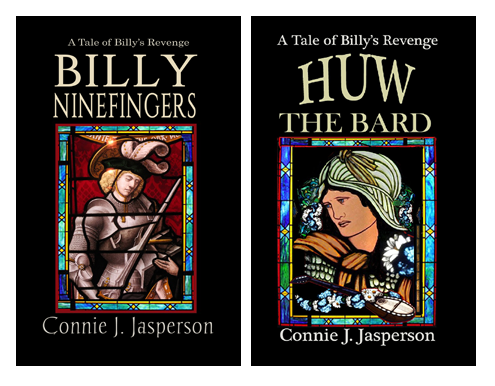 Within each society, the political and social divisions are clear and the differences between Elves and Men are well drawn and consistently portrayed throughout the drama that unfolds. Suzuki is herself a master of the martial arts, being a practitioner and instructor of Bujinkan Budo Taijutsu; a system that incorporates 6 traditional Samurai schools and 3 schools of Ninjutsu. As one who was once a mere grasshopper in the obscure art of Shou Shu, I fully appreciate the wisdom and experience that the master crafts into the fabric of this tale. Every element of this story evokes both the martial and the spiritual aspects of the culture of Imago; every element is vivid and believable to the reader. With each book in this series, I was drawn deeper into this amazing and very real world of Imago. In book 2 of the series, Tales From the West we discover more about the true evil that threatens Imago, and discover who or what is behind the sorcerer Eldred Firestaff. 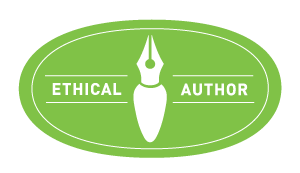 What I’ve learned from reading the works of indie author Lorna Suzuki is that to really craft a world and build believability you must know what you are writing about. She understands the warrior culture from the point of view of a female warrior becasue she IS a female and a warrior. Know thy craft! Write what you want to read, know what you are writing about and readers like me will flock to read it!